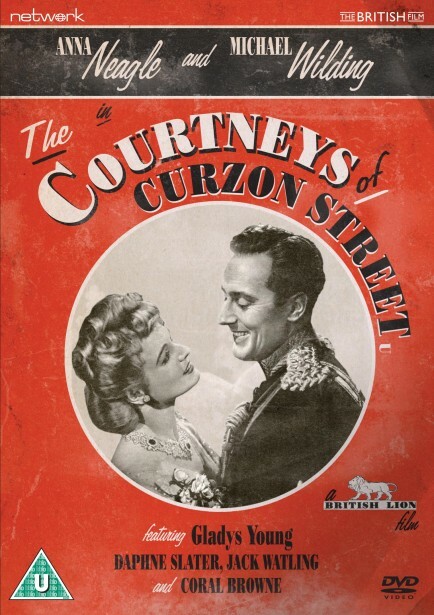 An endearing, heart-warming character study of class and society in the first half of the 20th century, it's really no surprise that The Courtneys of Curzon Street became the most popular film at the British box office on its initial release (and voted Most Popular Film for that year by a poll of exhibitors). Two world wars and an apocalyptic re-definition of the social status quo over the preceding decades ensured that the film tapped firmly into the country's post-war zeitgeist of change and optimism. It's Love Conquers All message of intolerance to snobbery ensured that this Herbert Wilcox production roundly saw off all competition for that year - a year which included such undisputed classics as Brighton Rock, Black Narcissus, Cavalcanti's adaptation of Nicholas Nickleby and Korda's An Ideal Husband. 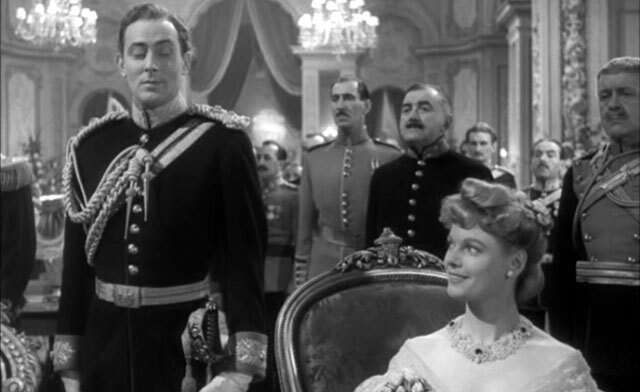 Courtneys featured the second pairing of Anna Neagle and Michael Wilding, and the roaring success of this film cemented the cinematic relationship established in Picaddilly Incident into one of the most bankable screen partnerships in British film history. 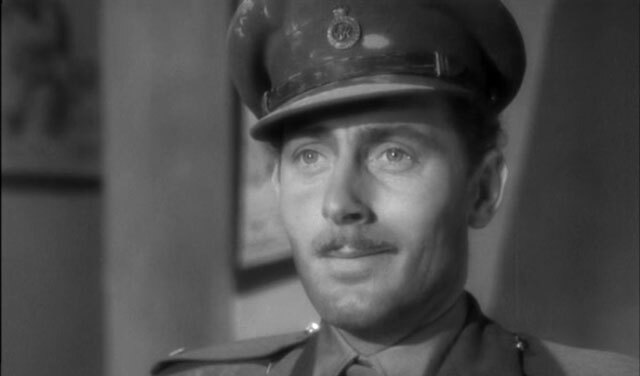 Wilding, in particular, is exemplary here in what is a very reigned-in performance - his emotional reaction on seeing his estranged wife again (while she warbles Roses of Picardy to entertain the troops) will warm the heardest heart. William Andrews, who worked on a fair few films for Wilcox as Art Director, creates numerous lavish settings within which Director of Photography Max Greene (Mutz Greenbaum) ably demonstrates why he was one of the most influential cinematographers of his time - it still looks gorgeous after more than fifty years. Anna Neagle and Michael Wilding star in Herbert Wilcox's masterly drama of love across the social divide. A phenomenal box-office success whose themes resonated among cinema audiences amid the upheavals of post-war Britain, The Courtneys of Curzon Street chronicles the changing fortunes of three generations of the aristocratic Courtney family – from the close of the nineteenth century, when Edward Courtney’s marriage to his mother’s Irish maid scandalises Victorian society, to the final days of the Second World War. 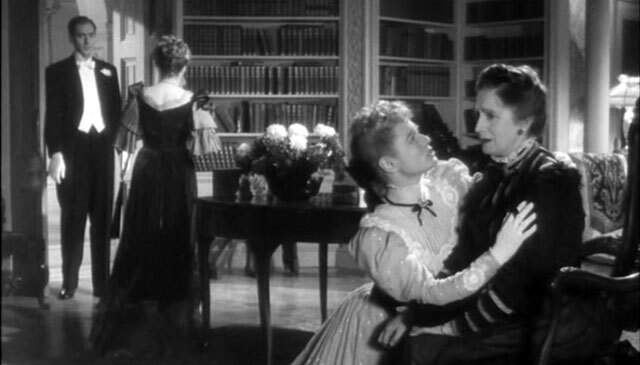 Originally released in 1947, this classic period drama was so popular it was re-exhibited on at least two further occasions. The version on this disc is a brand-new transfer from the original film elements of the 1949 re-release, presented in its as-exhibited theatrical aspect ratio.